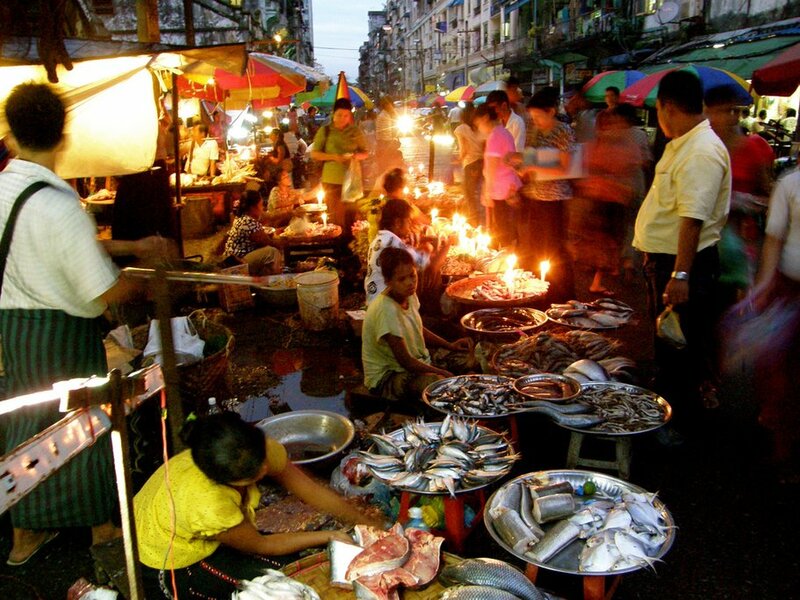 Welcome to Myanmar, formerly known as Burma! 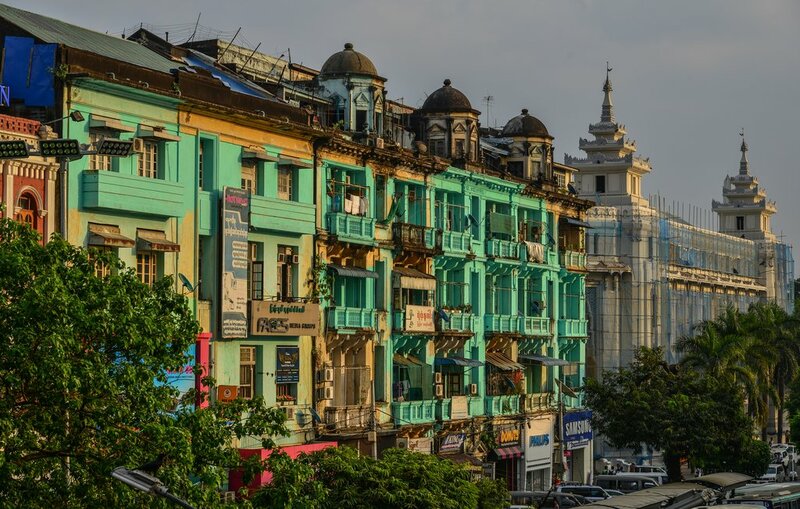 Arrive at Yangon International Airport with a warm greeting by a tour representative, who will transfer you to the hotel. Settle in and relax, and enjoy the rest of the afternoon before a packed trip ahead. Start your morning with a tour of the city's highlights. See the Reclining Buddha at Chauk Htet Gyi, a popular destination for Buddhist worshipers, then continue to the National Museum to see historical artifacts and art. Transfer to the airport for your flight to Bagan. 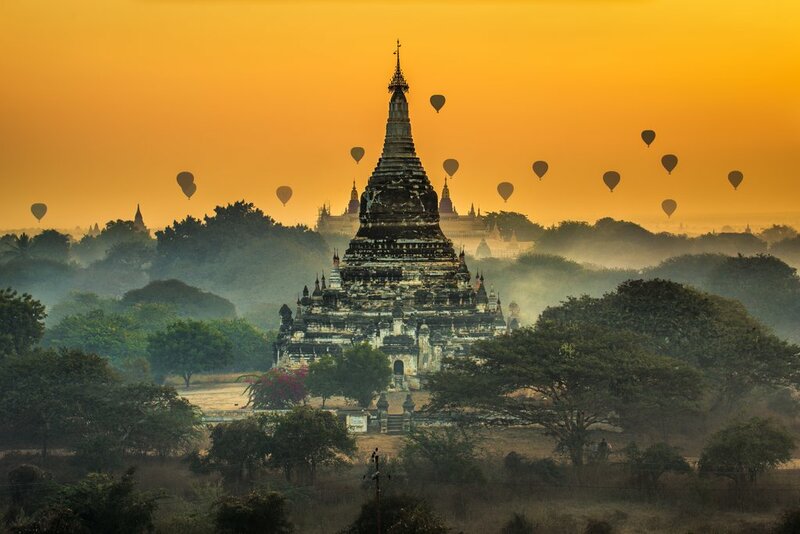 Spend the day exploring the archaeological sites of Bagan by e-bike. Tour the complex with an expert guide, explore the biggest pagodas, and visit some of the lesser known temples and scattered villages. Start your day with a drive to Mount Popa, which allegedly rose from the ground during a massive earthquake in 442 C.E. Mount Popa is famous as the dwelling of the Nats (Myanmar's pre-Buddhism worshiped spirits) and for its panoramic view of the region. 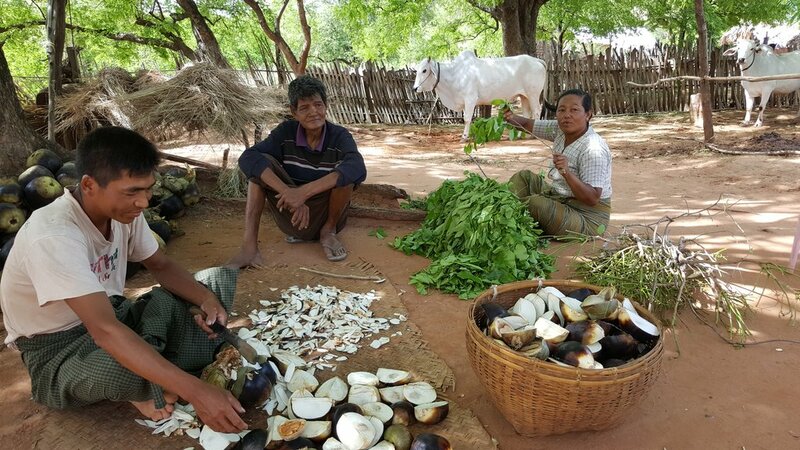 Visit the Sint Luu village to see the production of toddy palm juice and sugar, then return to Bagan by bike. Drive to Mandalay, the final capital of then-Burma's Konbaung Dynasty until its decline in 1885 at the hands of the British. 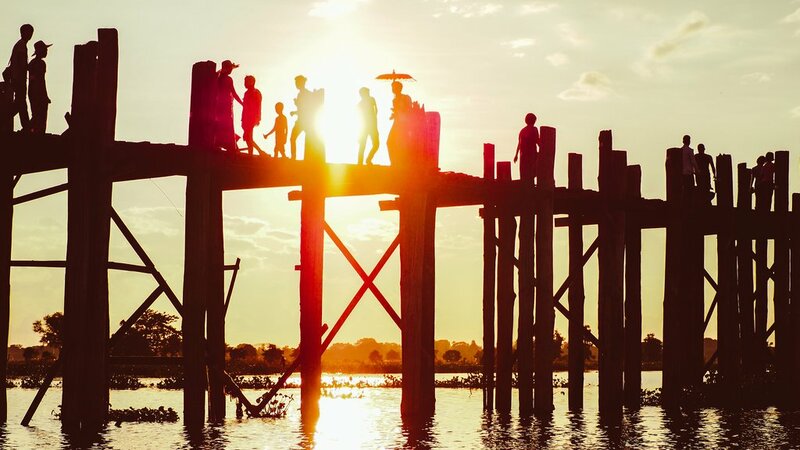 From here continue to the ancient capital of Amarapura to see the U Bein Bridge, the longest teakwood bridge in the world. The 0.75-mile (1.2 km) bridge spans Taungthaman Lake and was built around 1850 from wood reclaimed from the former royal palace in Inwa. Today visit Sagaing, located to the southwest of Mandalay on the opposite bank of the Ayarwaddy River. Saigang is an important religious and monastic center, and the numerous pagodas and monasteries crowd the hills next to the river. From here bike across the bridge which spans the Irrawaddy River, then continue to explore Sagaing's stupas. Head to the former capital city of Inwa, which was founded in 1364 C.E. and lasted nearly 400 years as the royal capital. 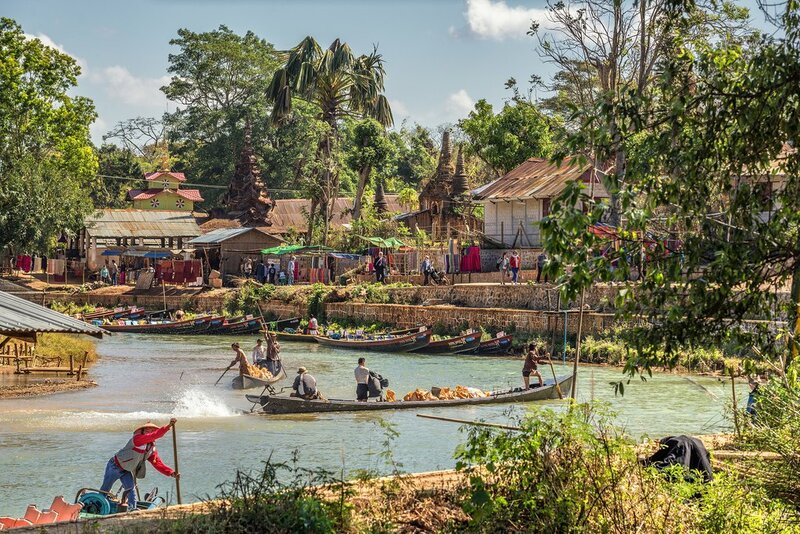 Highlights of the city tour include the Nanmyint Watch Tower, the Maha Aung mye Bonzan brick-and-stucco monastery, and the elegant teakwood Bagaya Kyaung monastery. Return to Mandalay in the evening. Explore the surrounding area by bike, then head to nearby Myathein Than Pagoda to see the Mingun Bell, the world's largest hanging intact bell. 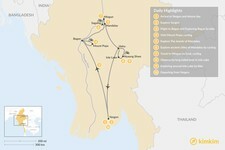 Return to Mandalay by bike, then continue for an afternoon of sightseeing. 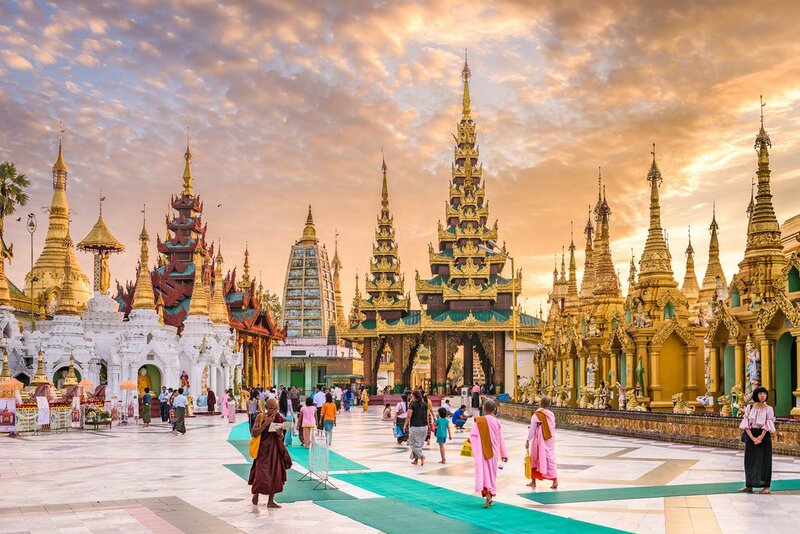 Visit the revered Mahamuni Pagoda, famous for its gold leaf hammering workshop. 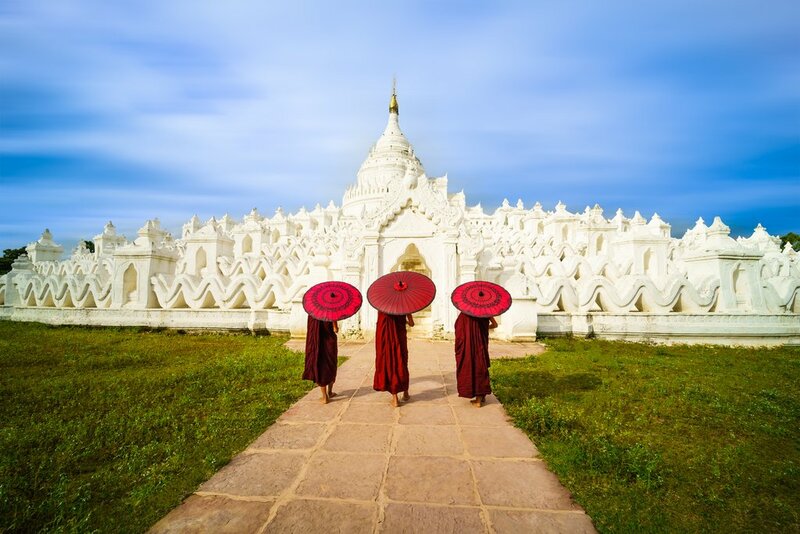 Stop to see Shwenandaw Monastery's exquisite wood carvings, then continue to Kuthodaw Pagoda. The pagoda houses 729 stone slabs with Buddha's teachings written in the ancient Pali language. 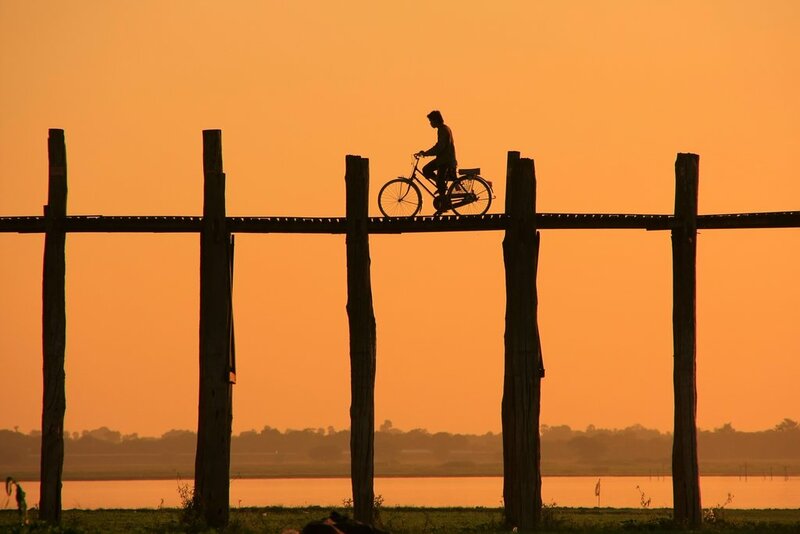 Spend the day exploring Inle Lake and surrounding areas by bike. 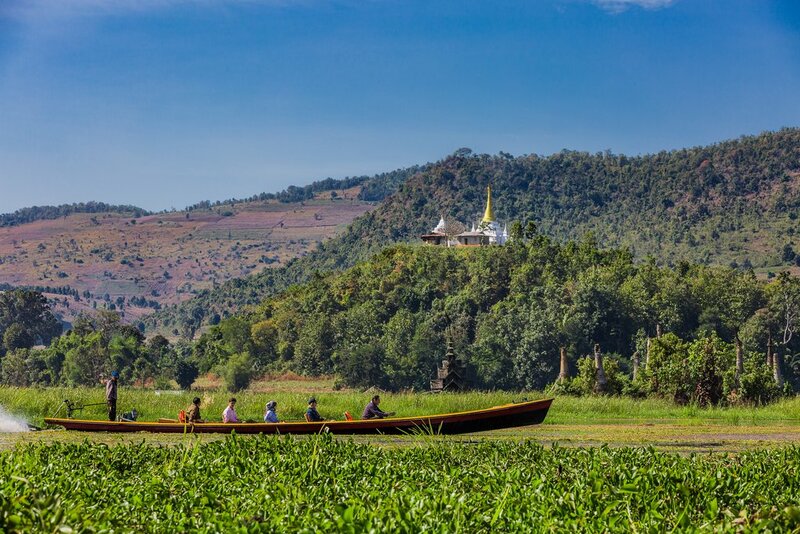 The lake is one of Myanmar's top natural areas, with no shortage of things to do. Stop at markets to shop for your lunch, learn about local artisans, and experience everyday life in the rural countryside. 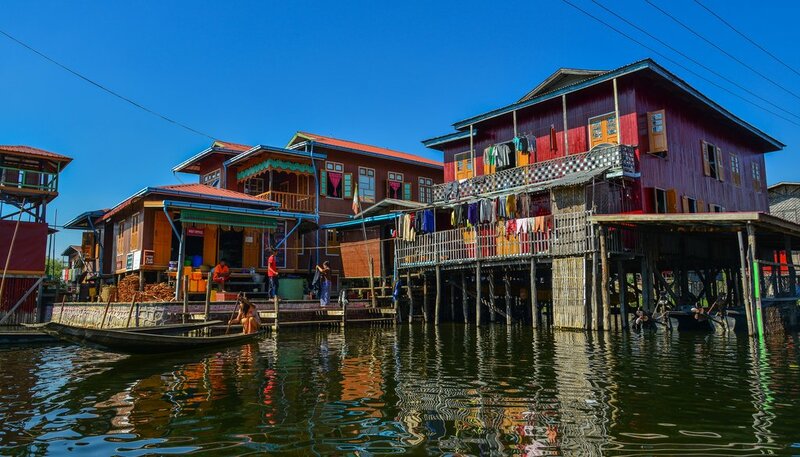 Head out for an excursion to the local villages around Inle Lake, beginning in central Nyaung Shwe. Ride along a gravel road next to a quiet canal—an easy and pleasant ride. 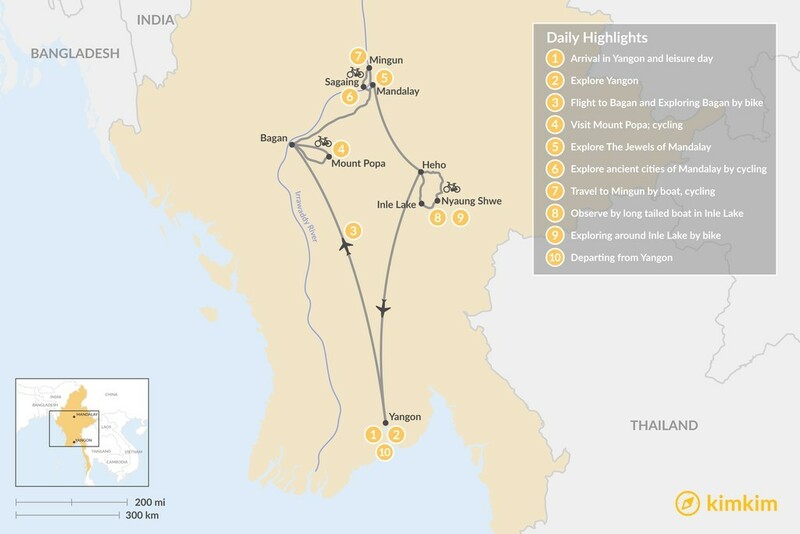 Enjoy breakfast at the hotel, then transfer to Heho airport for your connecting flight to Yangon International airport and your hourney home. Safe travels!